Are you lost or in the dark when it comes to finding the perfect prospects for network marketing on Facebook? This post will assist you and help you better understand how to find your ideal prospect using social media, specifically Facebook. Why Use Facebook To Find Your Perfect Prospects? If the image to the left doesn’t explain why Facebook, I’ll share some other reasons why you should be using Facebook to grow your network marketing business. Simply put, Facebook is a great place to find people and potential customers where they’re hanging out theses days. If you want to meet people, you have to go where they are, right? In the United States alone, If you walk down any city street or where I am in NYC on the subway where there’s now wifi and cell service, everyone is looking down and on their phones. 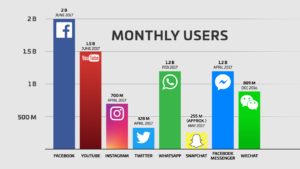 According to Social Media Today, the average person in the United States who has a Facebook account spends about 35 minutes per day on the platform. 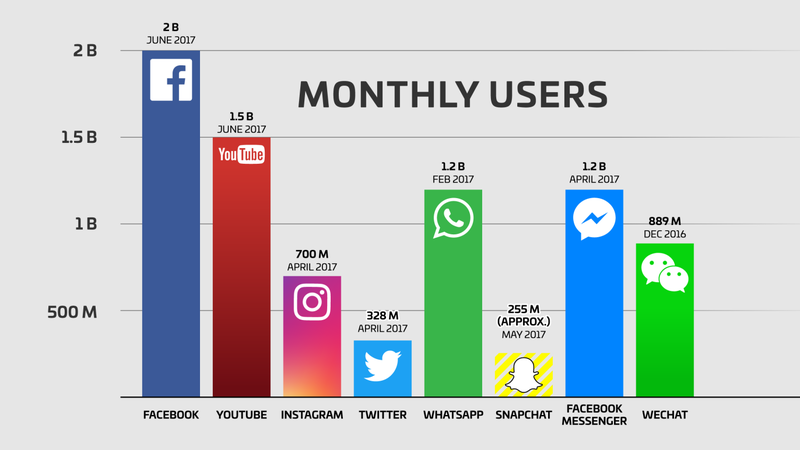 When you combine the amount of monthly active users on the platform with the amount of time they spend on Facebook and the way Facebook makes is simple and easy for you to connect with different groups, interest, and communities, there’s no wonder Facebook is such an amazing place to find your perfect prospect. So you’re question obviously now is, so how do I find them. We’re going to get to that. 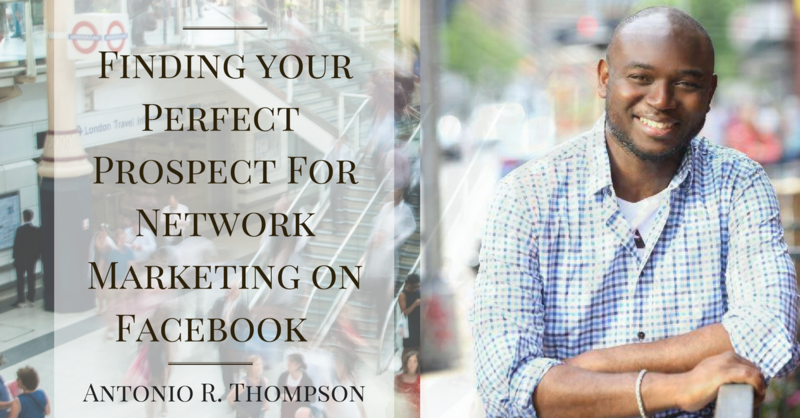 By the way, I’m going to be hosting a LIVE training this week on finding your perfect prospect on Facebook. Be sure to connect with me on Facebook and I’ll be sure to send you the details. There are a few ways to find and attract the perfect prospect for network marketing on Facebook, here are the top 5. Attractive Profile – This is the foundation and a critical component you MUST address before connecting with people on Facebook. When you connect with people on Facebook they WILL stalk you – in a good way. They’re going to come to your Facebook profile and see what you’re about. Post Intentionally – Because you know what your prospect is into, you have an insight as to what posts they will appreciate and enjoy. You want to craft posts that will educate, inform, inspire, entertain and be of interest to them. What you post is a way to get your message out to the people you want to attract into your business. You have to be intention with what you post if you want to attract your perfect prospect. Be Likable and Authentic – The more likable you are on Facebook, the better chance you have of connecting with others. In other words, you want to give people the help they need, connect with them, build rapport, engage with them and be a resource to them. Connect them with others who will help them reach their dreams and goals. Literally, craft posts that will make it easy for them to like it and share it. Go Where They Are – It amazes me how easy Facebook makes it to find your perfect prospects for network marketing. You just need to do a little bit of work and understand what they’re into. What books do they read? Who do they follow online? What movies do they watch? The more you understand about them the easier it will be to find them. Find them in groups, on other people’s pages. Join the conversations that are already going on. Connect with them and be genuine. Be Consistent – Consistency is vital. If you’re going to use Facebook to find prospects you have to be consistent. If you only reach out to people in a blue moon, you will not connect with the number of people you need to connect with in order to create any sort of momentum. As you are prospecting for network marketing on Facebook, there are some key things you want to remember. DO NOT SEND UNSOLICITED LINKS – By doing this, you’ll come across as SPAMMY and people will – By doing this, you’ll come across as SPAMMY and people will simply see you as someone who is trying to sell hem something. Instead, ask for permission before you send them a link. Be Authentic & Real – People can spot insincerity a mile away. Plus, network marketing is truly a people business, so start each relationship by being authentic and real. You Get To Decide Who You Want To Work With – This is your business and the team you build will be the people you grow with, travel with, help, support and encourage, etc. Be selective with who you want on your team. You have a choice in the team you build. Lower The Resistance, Raise Curiosity – If you are reaching out to people you do not know, make sure that you have someone review your profile from an outsiders perspective. How do they see your profile? Are there red flags? Are there posts that would turn off your ideal prospect? Is the message you send consistent with the one you want to send? Do Not Use Scripts – You are an individual. They are an individual. You met in a unique set of circumstances. Exact scripts do not work. You do want to be personal and follow formulas, but you do not want to cut and paste the same message to multiple people. They do not work. If you want to genuinely connect with others, reach out to them in a personal way through an authentic conversation. Keep It Positive – Being negative will definitely attract people, but it will attract the kind of people you do not want to work with. If you want to build a positive team, build them by reaching out and connecting with positive people. You do this by being a positive person yourself. Talk To More People, Start More Conversations – If you will reach out to three people per day, starting today, you will expand your network by over 1,000 people this year. You have to start more conversations and you need to start today. It’s not something you need to put off until tomorrow. I promise you it gets easier! The ultimate in Facebook prospecting and recruiting is when you can begin attracting people verses being proactive in reaching out to others. Both ways are great for finding new people to talk to about your business, but when you have people seeking you out and asking about your products and services, you’ve definitely have a great success ratio. Imagine having people come to you!! In all sincerity, if your posts on Facebook are annoying people and turning them off, you’re not doing it right. If you don’t feel good about your posts, you’re not doing it right. 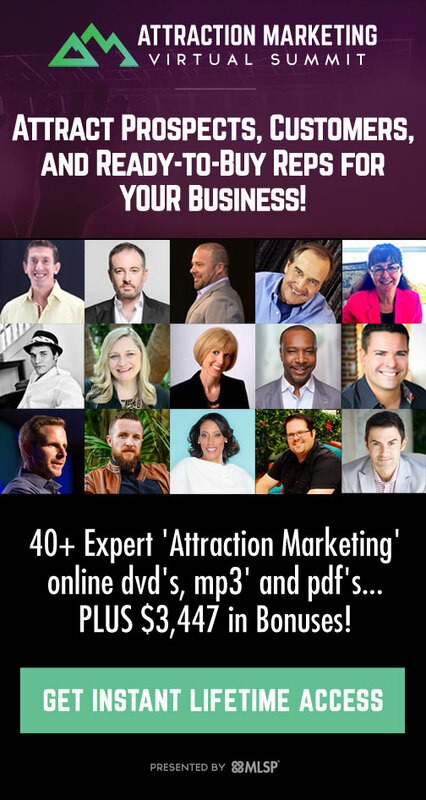 There is truly an art to attracting people on Facebook, and I’d love to help you learn the right way to attract people to your business. Connect with me on Facebook and I’ll let you know when my next training is. You go to Facebook and message random people (and your friends and family) your link to join you in your opportunity to buy your products. You add people to groups that you created or you’re a part of without their permission. You don’t ask permission first to share your business opportunity with people. You engage in conversation with random people on Facebook hoping for the perfect time to drop your link without even taking the time to get to know the person at all. Bottom line, you’re leading with your wallet or pocketbook. 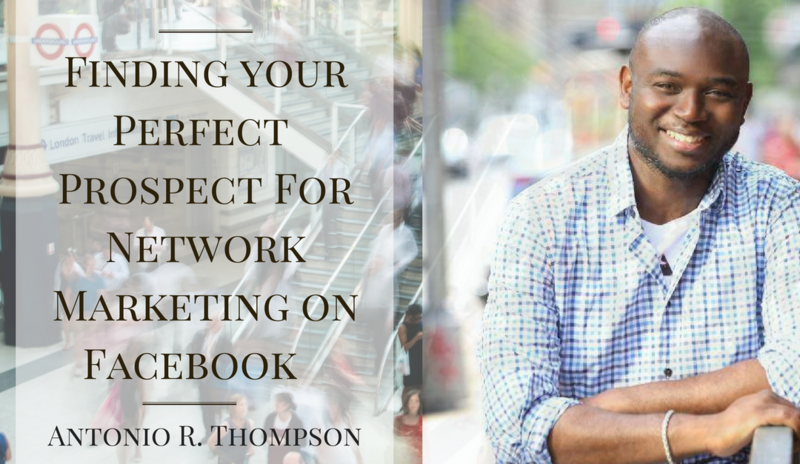 Did you get value out of Finding Your Perfect Prospects for Network Marketing on Facebook? Leave a comment below and share it with your friends on Facebook.